"Art is interesting to me when it ceases to function as art . . . whenever art doesn’t read the way we are used to. In this manner, a good piece of art continues to function, revealing new meaning and remaining exciting for a long time, even though our vision of what art is supposed to be keeps changing." 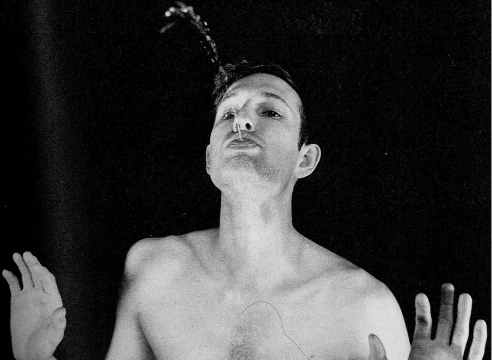 Van de Weghe Fine Art is pleased to present an historical exhibition of Bruce Nauman’s work this fall. Including over thirty-five pieces, the show will survey a broad range of the artist’s witty and eclectic oeuvre. Nauman’s contribution to the state of aesthetic production at the turn of the twenty-first century has been tremendous. 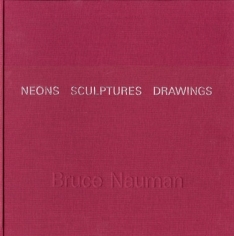 With what Neal Benezra has termed a “compulsion for paradox” and a renegade anti-formalism, Nauman has explored significant issues of the post-war period, from the implications of linguistic, aesthetic and extra-aesthetic signification, to the question of aesthetic production after Modernism, to the role of the artist in society. At the same time, Nauman has been instrumental in the pioneering of new media such as video in the ‘60s and installation in the ‘70s. He is something of a father figure for contemporary artists, much in the same way that Picasso was for the generation that followed him. Among the sculptures showed here, the wax version of the iconic sculpture Henry Moore Bound to Fail (1970), which recently sold at auction for nearly $10 million; two rarely seen fiberglass and resin pieces from 1965, one of which was exhibited at Nauman’s first one-man show in Los Angeles in 1966; and a major mobile made from cast aluminum taxidermy forms. An impressive array of over twenty works on paper (1966 – 1999) will also be on view, including a seminal group of drawings from the ‘60s based on the artist’s body and several important large-scale works related to neons, sculptures and installations. The exhibition offers an opportunity to see eight of Nauman’s neon works, ranging in date from 1970 to 1986. Nauman began producing neons formed of anagrammatic words and phrases in the late ‘60s (La Brea, Art Tips, Rat Spit, Tar Pits). Motivated by a retrospective exhibition of this work in 1982, Nauman revisited the neon, adding puns, aphorisms, rebuses, wordplays, and literary references to his repertoire of text with works such as Trust Me Only or Big Studio, inspired by Orwell’s title of that year (1984). Illustrating Nauman’s conviction that “the point where language starts to break down as a useful tool for communication is the same edge where poetry or art occurs”, the neons remain among the artist’s most important works.